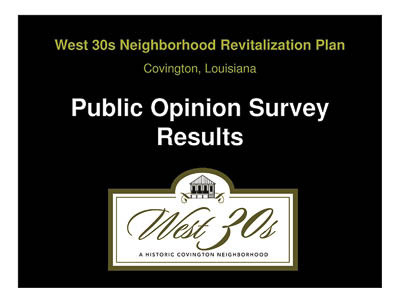 The Walker Collaborative was hired by the Northshore Community Foundation to lead a consultant team in the development of a plan to revitalize the West 30s Neighborhood. 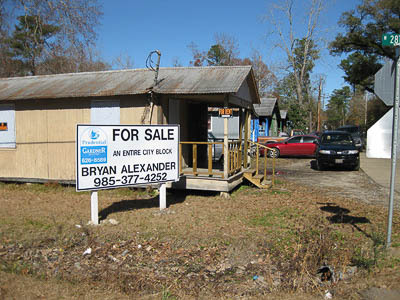 Public input was a critical component of the project, so a broad range of techniques were used. 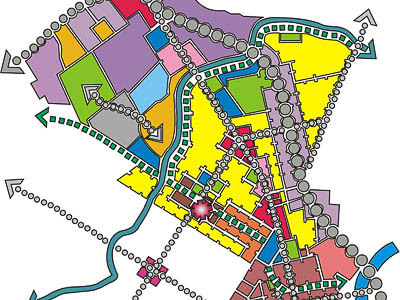 In addition to a charrette and numerous meetings, two surveys were implemented, each with a different objective and method of implementation. 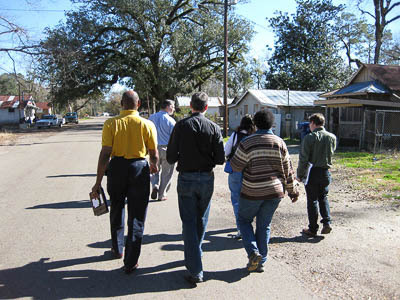 The "Community Survey" was implemented by volunteers going door-to-door to interview residents regarding the respondent's household, employment, housing conditions, financial status, health, recreation, education, and other issues. 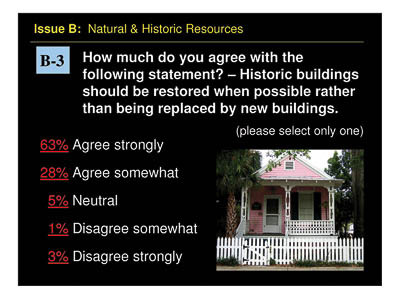 The "Public Opinion" survey was administered primarily through two public meetings with a PowerPoint-based survey correlated with printed survey forms completed by respondents. 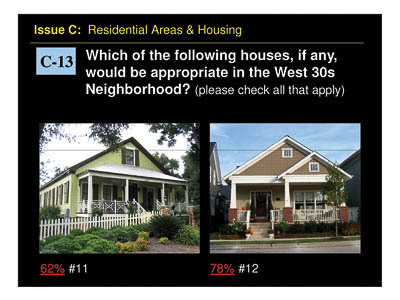 That survey gauged the habits, perceptions, opinions and preferences relative to the study area. The results of both surveys provided useful information to assist in the formulation of plan recommendations. 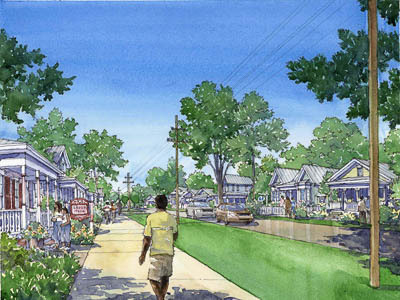 "Phil's charrette process exceeded our expectations... Phil and his team demonstrated an outstanding ability to work with anxious developers, interested property owners, and concerned neighbors. 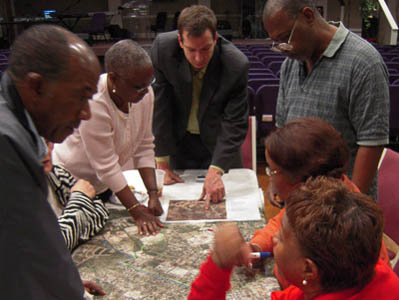 The caliber of Walker's work was proven when the resulting Downtown and Riverfront Master Plan was awarded the 2009 Outstanding Planning Award from the Alabama Chapter of the American Planning Association."